By Raissa Gaju, YWCA of Rwanda. 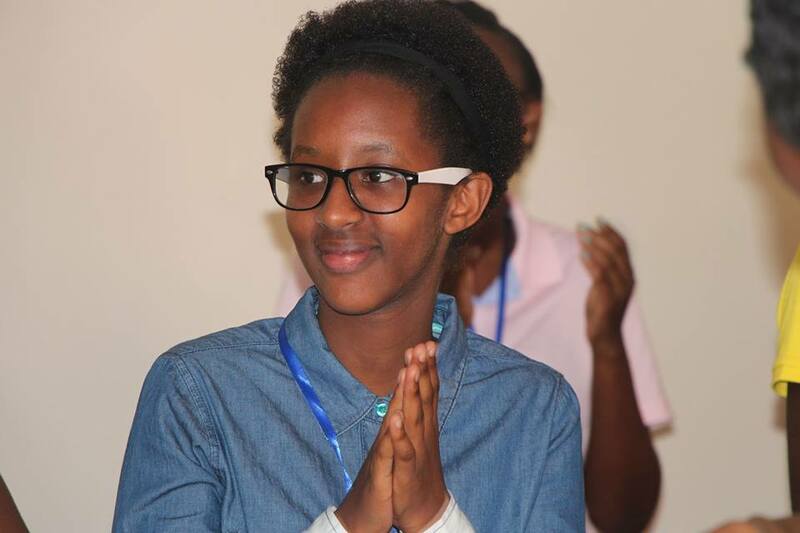 My name is Raissa Gaju and Iam 12 years old from YWCA Rwanda. It’s a privilege and honor for me to be at the 22nd African Union summit, the 23rd Gender is my Agenda Campaign, the World YWCA pre-summit Advocacy training in Addis Ababa Ethiopia. I am grateful to the World YWCA, YWCA of Rwanda and the organizers of this summit for hosting us. This summit brought together so many people and it has been my first time to be in the midst of so many people in the same place. I really loved the Ethiopian culture and people and I confirmed what I had read all along. The Ethiopian people are really friendly and they have a nice city. This is characteristic of hardworking people. Keep it up. I have been volunteering with YWCA of Rwanda for several years and was inspired to volunteer in the YWCA after I made a visit to Nyabihu district and met young girls in a horrendous condition. I couldn’t hold my tears because this was so touching seeing them suffer, with nowhere to sleep, and some of them could hardly get any food. From that day I took a decision of volunteering through which I have managed to be near them, give them comfort, hope and look forward to making all girls around the world have their dignity and be confident. AS someone once said, “The greatest poverty is not the absence of money but a feeling of loneliness and a feeling of being unloved”. By being there for the girls, I have managed to give hope and restore a feeling of being loved among the girls. Participating in this summit has strengthened my commitment to serve fellow young women such that they move from vulnerability to leadership and thus empowerment. I will continue to champion for the rights of young girls because I believe that all girls deserve a decent life and need someone to be there for them.